William Patrick Crick was born on 10 February 1862 at Truro, near Kapunda, South Australia, son of English migrant farmer William Crick and his Irish wife Margaret, née Mungovan. He married Mary Catherine Kelly on 30 June 1890 at St Francis Catholic Church, Paddington, Sydney. They separated in 1892 and had no children. He died on 23 August 1908 at Randwick and was buried in the Catholic section of Waverley Cemetery. The Crick family moved from South Australia to Spicer’s Creek, near Wellington, NSW, in 1868. William Jnr was educated at St Stanislaus College, Bathurst. He was articled to RJ Ryan in Dubbo in 1881 and later to TM Slattery and LF Heydon in Sydney in 1884, to JA Cahill in 1885 and to H Dawson in 1886. He was admitted to practice as a solicitor in November 1886 and went on to develop a lucrative Police Court practice, and for a time was in partnership with his old friend Richard Denis Meagher, before falling out with him. He was a proprietor of Truth with W N Lewis in 1890 but left after litigation over proprietorship with John Norton. In 1895 he founded the Land and Industrial Alliance with Edward William O’Sullivan. Crick was an owner of racehorses and a major punter at the racecourse near his Randwick home. 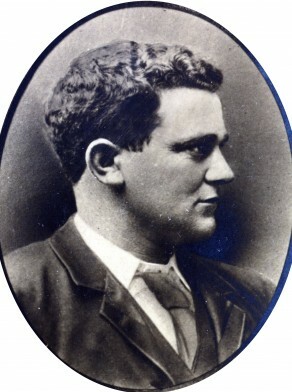 William Crick was elected a Member of the Legislative Assembly for West Macquarie from 1889 to 1904 and for Blayney from 1904 to 1906. He was Postmaster General, 1899-1901, Minister without Portfolio, 1901, and Secretary for Lands, 1901-04. William Crick was a radical and a protectionist. A heavy gambler and drinker he was involved in many libel suits and assault charges and he was expelled from Parliament for unruly behaviour in 1890. Crick was later re-elected. In November 1906 he was accused by the Royal Commission on Lands Administration of accepting bribes. Charges were subsequently laid but the proceedings were dropped. He resigned from the Legislative Assembly on 6 December 1906, but was then expelled and further struck off the roll of solicitors in 1907. William Crick was Alderman for Belmore Ward, 22 August 1904 to 30 November 1904. He was a member of the Works Committee and the Health and By-Laws Committee in 1904. Bede Nairn and Martha Rutledge, ‘Crick, William Patrick (Paddy) (1862–1908)’, Australian Dictionary of Biography, National Centre of Biography, Australian National University, http://adb.anu.edu.au/biography/crick-william-patrick-paddy-5821/text9883, accessed 21 January 2013.